Yaaaaaaaasss, a cleanser from Erborian. I am a cleanseaholic so I love trying new cleansers and this Solid Cleansing Oil is a good one. 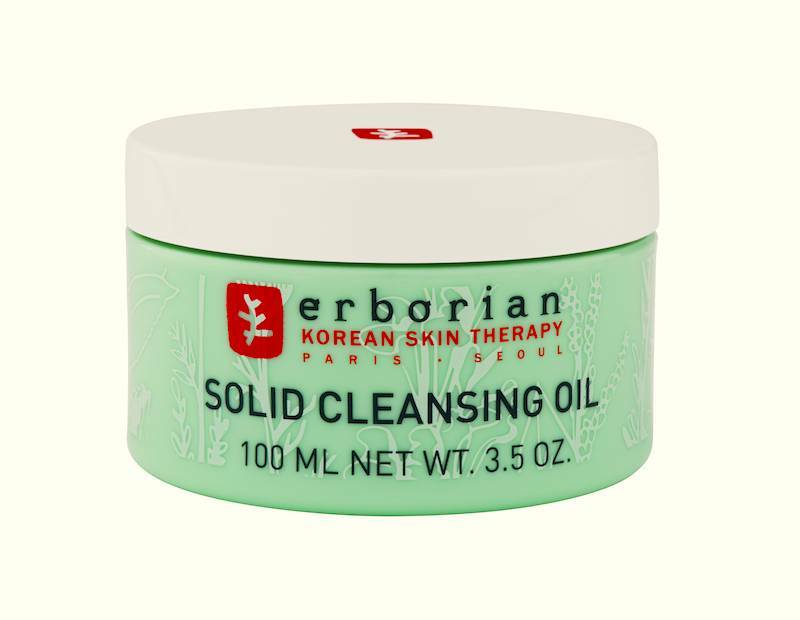 Erborian is the French Korean brand that hit the market a couple of years ago and has been creating East West crossover skincare ever since. If you are a brownbeauty, their BB and CC Creams are not likely to work for your skin tone but their skincare products are interesting. The Cleansing Balm is nothing new to us; solid in the jar, once it melts on your skin it turns into an oil texture. It is described as a two in one cleanser that removes makeup and cleanses the skin. Konjac is a plant that grows in east Asia and the corm from the plant is what is used to make the sponge. The Konjac Sponge is hard when dry but when soaked in water the texture softens and it has a sponge like, squidgy texture. It allows you to polish the skin gently. The sponge needs to be replaced every month so a Konjac habit can be costly but if you have sensitive skin it is worth the expense. This sponge is soft enough to use daily but I like to use it three to four times a week. I have been using these products for about four weeks and use the Solid Cleansing Oil for both makeup removal and to cleanse my skin. The first time I used my hands and on the second cleanse I go in with the Konjac Sponge. For me this is definitely a night time cleanser, when I have time to really massage the skin but there is no reason not to use it during the day. The Konjac Sponge is better quality than many on the market, but it is also more expensive so if changed every month it the cost would add up. Definitely worth looking for more reasonable alternatives. Erborian also have a range of Konjac sponges that they recommend using in conjunction with the Solid Cleansing Oil. It is available in charcoal (black) natural (white) and green tea, for additional mattifying, micro-circulation and antioxidant benefits. The Solid Cleansing Oil is really good. There are cheaper alternatives out there but if you are regularly in a full face of makeup and are looking for a gentle but effective cleanser, this is a good option. Erborian Solid Cleansing Oil is priced at £29.00 and the Konjac Sponges are £10.00 each.